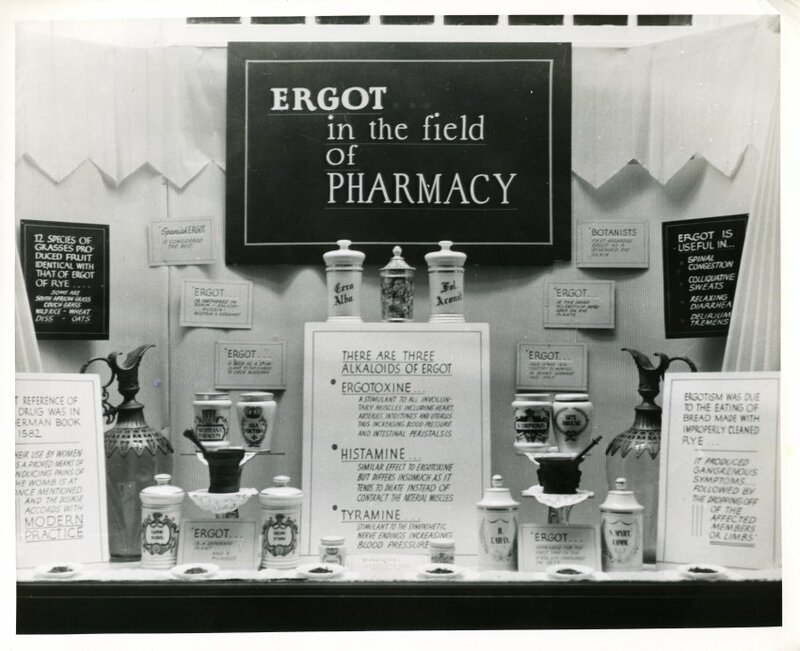 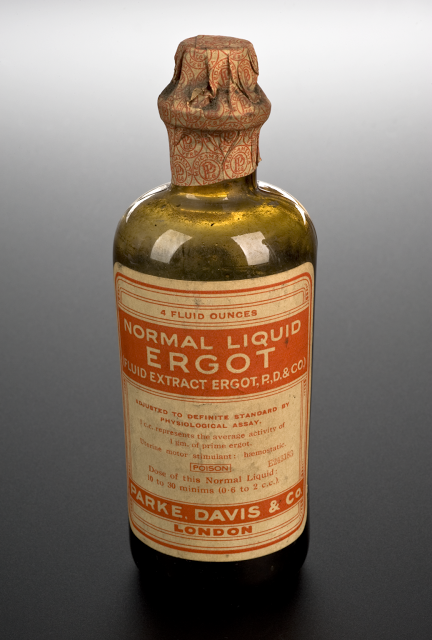 This M. L. Cooper Pharmacy window display focuses on the medical uses of ergot, a type of fungus found in rye and similar plants. Ergot-derived drugs are generally referred to as ergot alkaloids, which can help in the treatment of migraines. 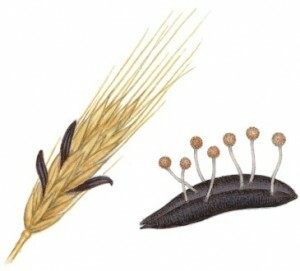 Ergot fungus is poisonous if consumed!